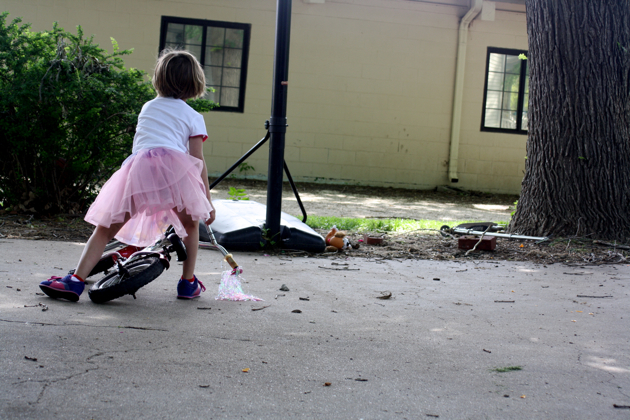 we altered this bike back when micah was four and after watching eliza teeter on the training wheels, we did it again. 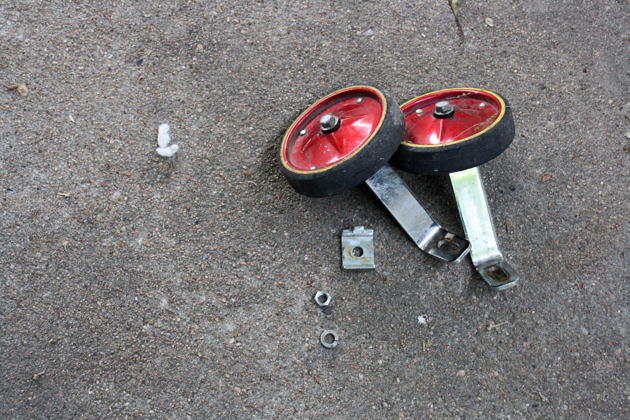 the first step is taking off the training wheels. 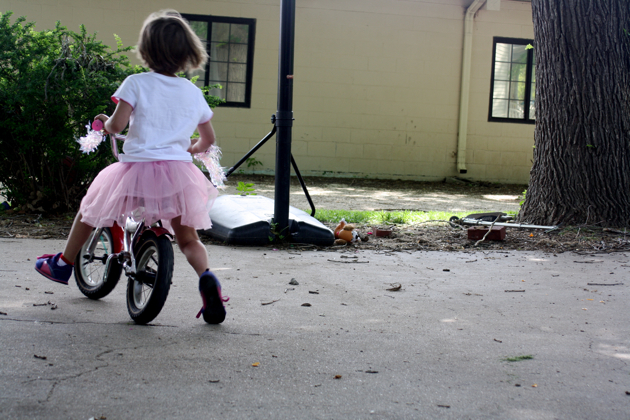 then taking off the pedals. now she’s working on balancing. we’ve had fun remembing how micah flew around flintstone style. there is a movie somewhere. 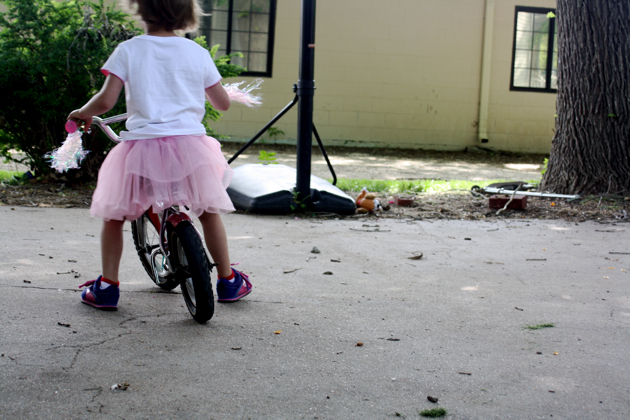 i’m dreaming of expanding this concept to preschool…i’m imagining 13 pedal-less bikes for riding! she is! makes me miss her more! so funny because i remembered doing this with sean’s because of micah. and how our friends called it the ghetto bike. i was thinking YESTERDAY how we needed to do this to annie’s bike to get her ready. 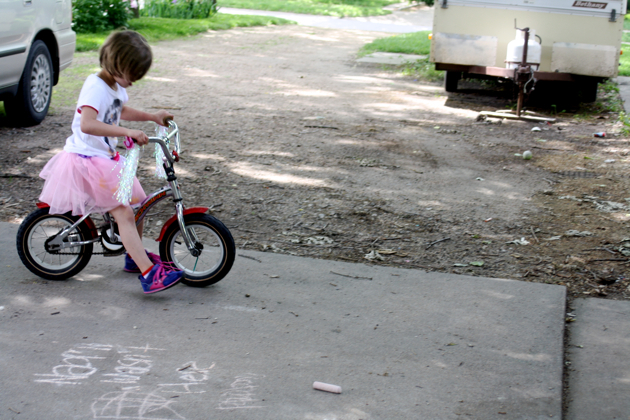 This is a great idea – around my neck of the woods it is pretty common for people to buy “balance bikes” (essentially bikes that come without pedals) but I like this better, because once she masters the balancing, eliza can use the same bike with the pedals! 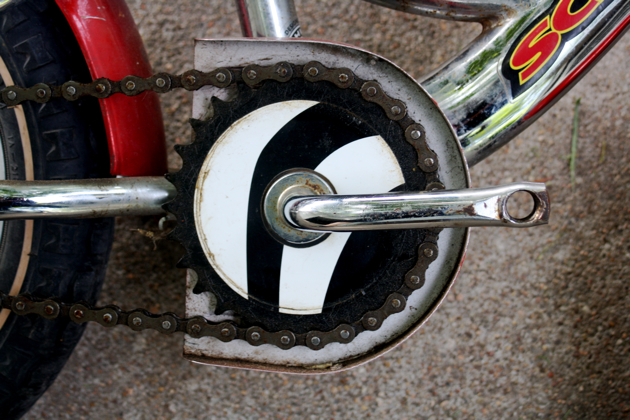 Did you leave the crank arms (that the pedals attach to) on? I’m curious about that. I wouldn’t want them to become a hazard. we did leave the crank arms on and so far so good. i imagine that there is a risk of danger, though. 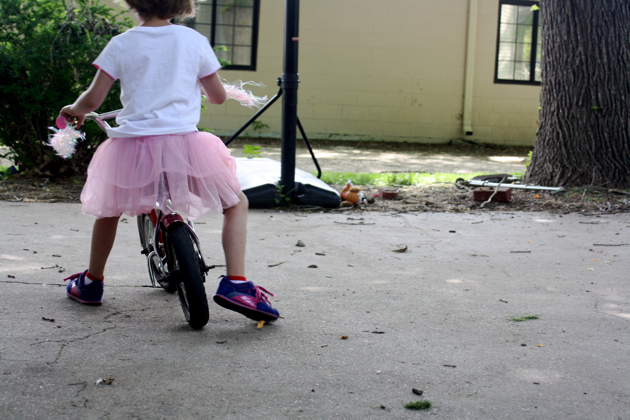 my kids don’t usually wear shoe laces…maybe that is part of our luck? i don’t know you, but saw this on apartmentherapy website. 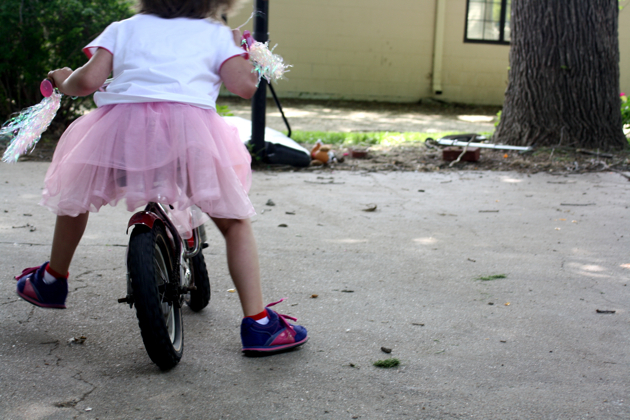 we’re taking off pedals for daughter’s 4th b-day, she’s never ridden one before but can do tricycle w/ pedals, so is used to pedals a bit. 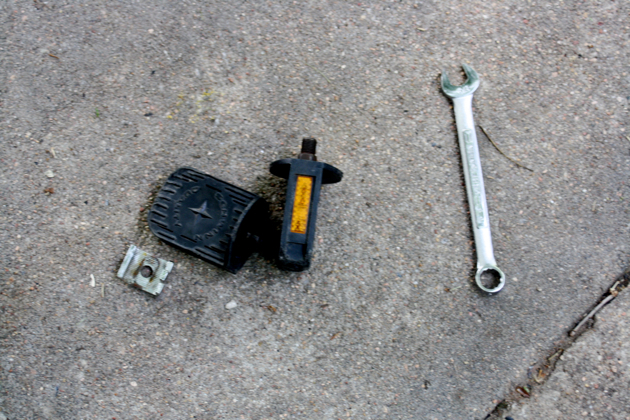 want to know if leaving crank arms on is risk of her cutting her legs? you seem not to have had a problem. any thoughts? please email me back.